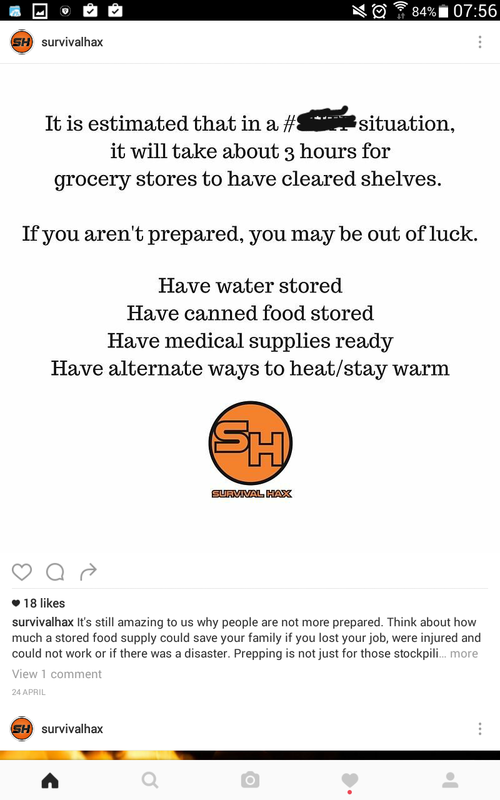 Have you ever thought of what would happen if food supplies suddenly stopped? Just how long could your local stores keep supplying you. Well there are many suggestions, but greed will immediately rear it's head and you could be just too late to get anything. 1/ A backpack with essential supplies to last just a few days. Food and water, dry warm clothing and documents in a waterproofed pouch. 2/ Enough food and water in your home to help your family survive two weeks. Use your search engine to find "survival kits", "long life food", "survival food"
But be careful of prices as these prepared packs are going to cost more than you sourcing the food stuff individually according to your family needs. Any Other tips please use the comment box below.